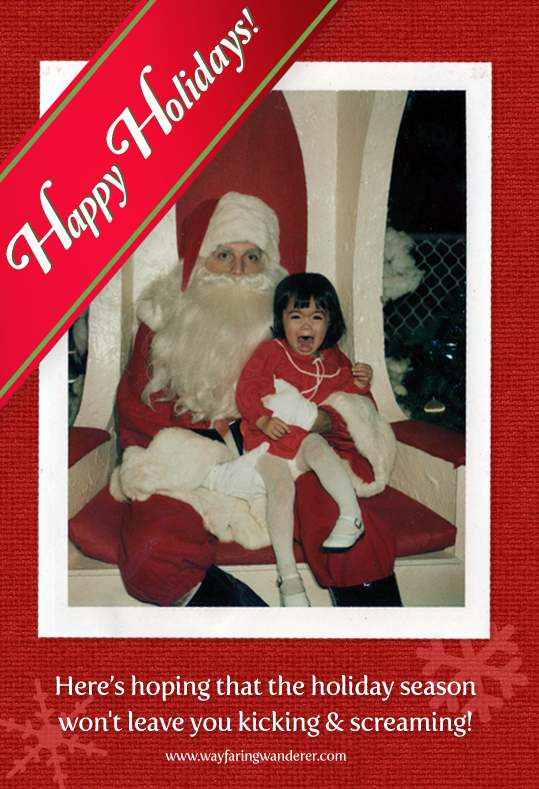 Despite the fact that I look highly unhappy, my old Santa photos seriously make me laugh. I think that if I were to be put in this Santa pic situation again, it would most likely illicit the same reaction--me screaming and crying like a baby. Well, maybe not, but I'm not going to give it a try. I didn't want to sit in some creepy guys lap then and I don't want to do it now! haha But I do want to wish you all a very Merry Christmas and Happy Holidays! CLASSIC. I love it. Happy holidays to you too! I never got a Santa photo of my son--not even crying!!! Hope your new year is a grand one!